Precise India Take Pleasure Introducing Ourselves As A Leading State Of Art Power Control Center Panel Also Known As PCC PANEL Manufacturer, Supplier And Exporter Based In Ahmedabad, Gujarat. PCC Panel Forms Utmost Vital Part Of Electrical System Of Given Industry Where Chief Requirement Is To Control The Power Of Industries. PCC Panel Is Usually Used As Power Distribution Board To Control Power Supplied To Essential Component Like Motors, Panels And Transformers. 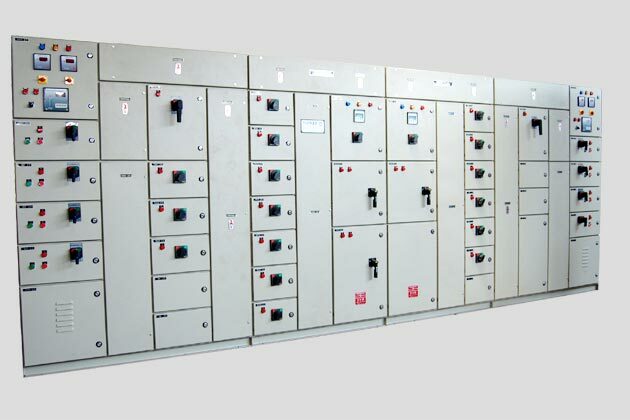 Precise India Manufacture The PCC Panel As Per The Customer Requirement Under The Stringent Regulation Of Expert Professionals Using The Exceptional Quality Grade Materials, Switchgear, Bus Bar & Other Component. Precise India’s Designed PCC Panel Are Extensively Used In The Numerous State Of The Art Industries Like In Refineries, Chemical Plants, Dairies, Refrigeration Plant, Pharmaceuticals And Plastic Industry. Availability Of PCC Panel With Rated Current Ranging From 630A To 6300A. The Design Of Power Control Center Is A Perfect Compartmentalized Panel With Current Capacity Up To 6300 A. Highly Effective & Proficient In Handling High Current At Low Voltage. Top Quality Insulators Are Integrated In Order To Ensure High Degree Of Safety & Prevailing Safety Standard. Precision Engineered To Impart Reliability & User Friendly Operation. As An Add-on Feature Provision Of Space Heater, Thermostat And Backup Protection Can Be Provided.